The loss of a family of four killed in a crash near Saskatoon has left "a large hole in our hearts," a relative said outside the court where the 49-year-old woman charged with several counts of impaired driving causing death made an appearance. 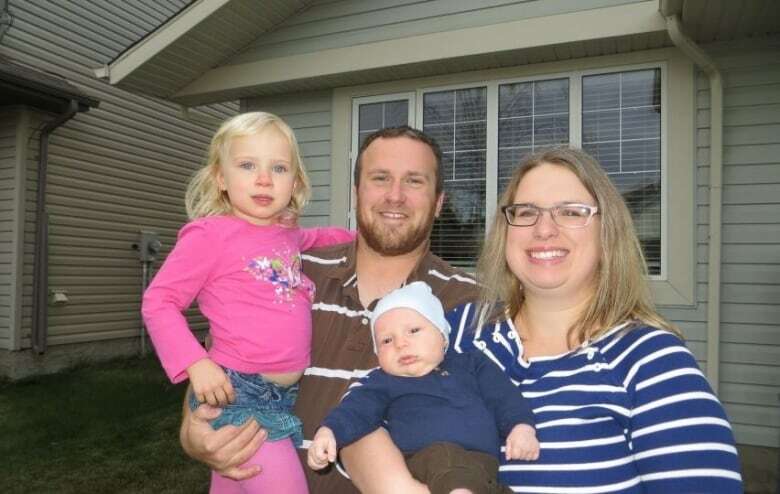 "We have lost a large piece of our family," said Lou Van de Vorst, the father of Jordan Van de Vorst, who died along with his wife and two children following Sunday's crash. "We miss them terribly and we will not be able to replace them." Relatives, as well as friends and supporters of the family, gathered outside Saskatoon provincial court Thursday. Catherine McKay has been charged with four counts of impaired driving causing death, as well as four counts of dangerous operation of a motor vehicle causing death and four counts of impaired operation with a blood alcohol reading over .08 causing death. At her court hearing Thursday, her lawyer asked that he be given a couple more weeks to prepare for a bail hearing. Jordan and Chanda Van de Vorst were killed early Sunday morning when their car was hit on Highway 11, on the outskirts of Saskatoon. Their five-year-old daughter Kamryn and two-year-old son Miguire died later in hospital. "We pray that justice will be served," Lou Van de Vorst told reporters, adding McKay "will have to live remembering what she did and the four lives that she took." "We have to live with a large hole in our hearts," he said. "No one will know what those two little ones would have accomplished when they grew up, or what Jordan or Chanda would have done if they lived a full life." The Van de Vorsts' car was travelling westbound on Highway 11 when it was struck by an SUV attempting to cross the highway on Wanuskewin Road. Lou Van de Vorst also thanked the RCMP and the local organ transplant team members who helped preserve vital organs from the two children. "They took great care to ensure that our children and our grandchildren will have a part in improving the life of so many others," said Van de Vorst. A memorial service will be held at Saskatoon's Elim Church at 11 a.m. CST on Saturday. The family has asked that media not attend and respect their privacy.